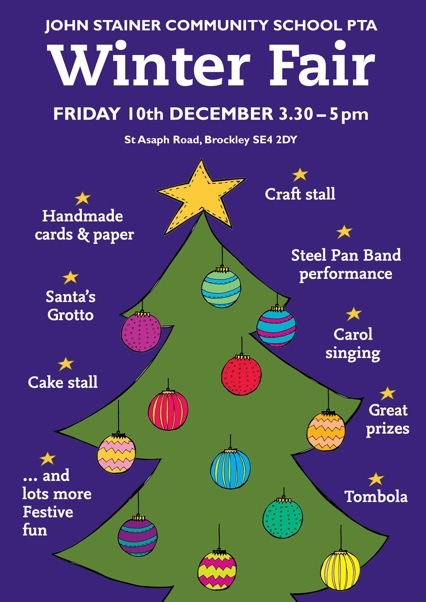 Come and join us on 10th December as we get in the Christmas spirit with carol singing and our own steel pan band as well as Santa’s grotto and Christmas cakes and gifts. John Stainer Community School is a small, friendly school right next to Brockley station. All money raised supports the hard work of our teachers in delivering exceptional creative and educational experiences to our children.